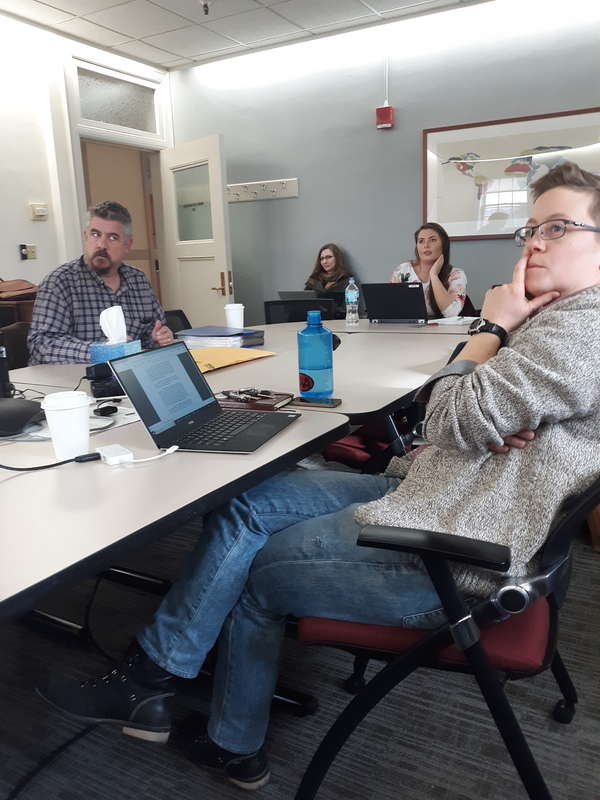 Members of the TAA bargaining team met again with UW administration to discuss the grievance procedure for graduate workers, which will be adopted into the Graduate Assistants Policies and Procedures handbook. During the meeting, the TAA emphasized the importance of creating a policy that is clear, accessible, accommodating, and helpful to graduate workers facing grievable workplace issues. An issue of contention was the time limit for filing grievances. The 2009 contract grants Graduate Assistants (GAs) 30 days to file a grievance (Article IV Section 1F). But for many reasons, a GA may not be able to file a grievance within the current time limit. At GAPP, the TAA and administrators discussed the necessity of extending the time a GA has to file a grievance. Many of our peer institutions — such as UW-Milwaukee, University of California Berkeley, and Michigan — all receive more than 30 days to initiate a grievance. The TAA proposed extending the grievance time limit to 120 days, but was met with resistance from administrators, who worried that giving GAs more than 30 days would “drag on” the process and witnesses may “forget key facts”. It is clear that this will be a significant issue moving forward. The TAA and administrators were able to agree that GAs should have the option of circumventing the first step of the current grievance procedure, which is submitting the grievance to their immediate supervisor. This creates a potential conflict of interest if the supervisor is the offending party. The TAA and administrators also easily agreed that GAs should be given access to a list of supporting documents and resources for navigating the grievance procedure. This includes instructions for GAs on how to file a grievance, but also includes administration-facing documents such as those for department chairs explaining what their responsibilities are when meeting to discuss a grievance. This list could also include forms, appeal templates, and a flowchart guiding GAs through the grievance process. The bargaining team will continue to review the existing policy with input from administration in coming weeks, including a comprehensive assessment of the first section of the policy during a public meeting to be held on Thursday, November 9th at 9 AM in Bascom Hall 334. If you have had experiences such as overwork, misclassification, intimidation, or other workplace problems and concerns, we encourage you to come share your opinions and experiences at these meetings. For more information, contact adria@taa-madison.org. Read the most recent updates about GAPP here.